Everything from a military-grade flashlight to the world's smallest bottle opener. For all that smartphones can do in this day and age, their cameras' zoom capabilities are pretty underwhelming — something that becomes way too apparent when you're trying to capture the artsy details of a flower or snap a shot from the back row of a concert. 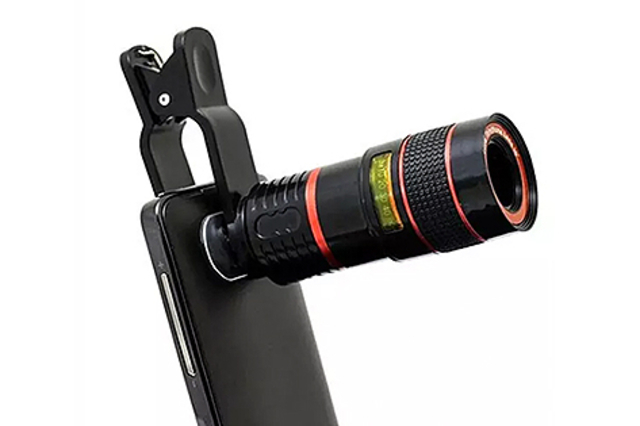 Remedy that with the 8x Telephoto Smartphone Lens, which clips onto your Apple, Samsung, HTC, Sony, or Nokia smartphones and tablets to capture crystal-clear images and videos at up to eight times closer. Sale price: $12.99, 74% off the original price of $49.99. Buy it here. Pro tip: Messing with a flimsy smartphone car mount while you're operating a two-ton piece of machinery is never a good idea. 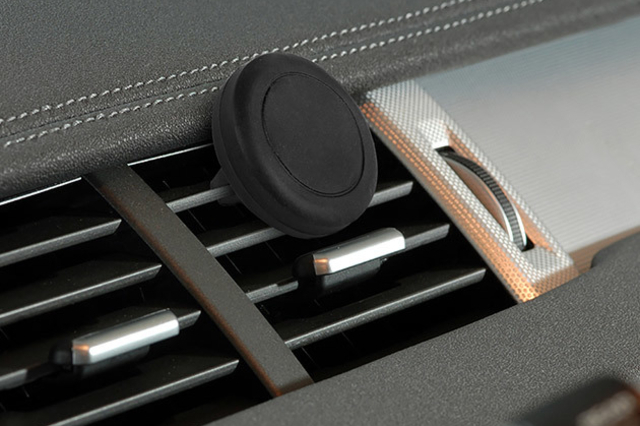 If you've got the Universal Shadow Smartphone Mount, though, you can drive confidently knowing your device is safe, secure, and steady thanks to its strong, magnetic grip and swiveling capabilities. Sale price: $9.99, 50% off the original price of $19.99. Buy it here. When it comes to taking selfies, you've got to follow the No. 1 rule in the Kardashian handbook: Make sure your lighting is always on point. 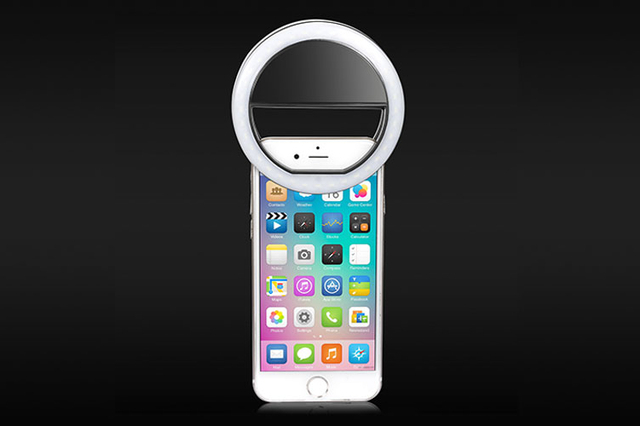 Find your Instagram-worthy angles in the darkest environments using the Clip On Smartphone LED Selfie Light, a compact accessory for your device with an adjustable, flattering glow that even Kylie Jenner herself would approve of. Sale price: $10.99, 72% off the original price of $39.99. Buy it here. When even Facebook cofounder Mark Zuckerburg and former FBI director James Comey are covering their devices' camera covers, it's probably time for you to do the same. 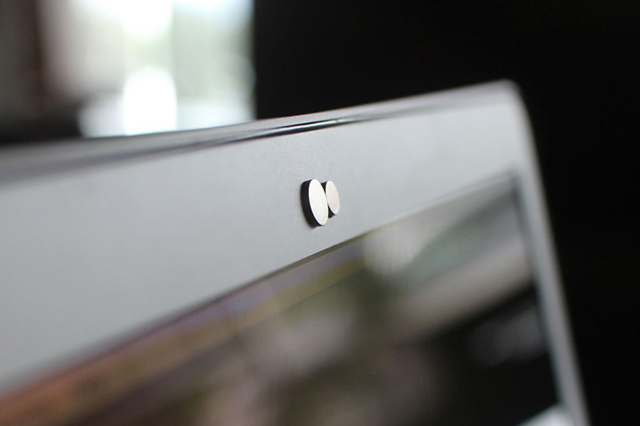 Protect your smartphone, tablet, desktop computer, or laptop from webcam hackers and peeping toms with a Nope Webcam Cover, a thin, subtle shield that's available in silver or gunmetal finishes for a polished look. Sale price: $14.99, 31% off the original price of $21.99. Buy it here. Are smartphone keyboards getting smaller and smaller, or is it just us? 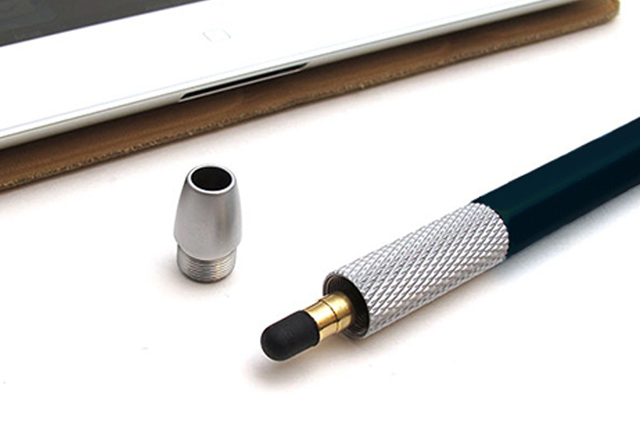 Type with mind-blowing precision on all your touch-screen devices with the New York Times-acclaimed Hand Stylus, which features the world's smallest conductive-silicone rubber tip. Sale price: $14.95, 40% off the original price of $24.95. Buy it here. 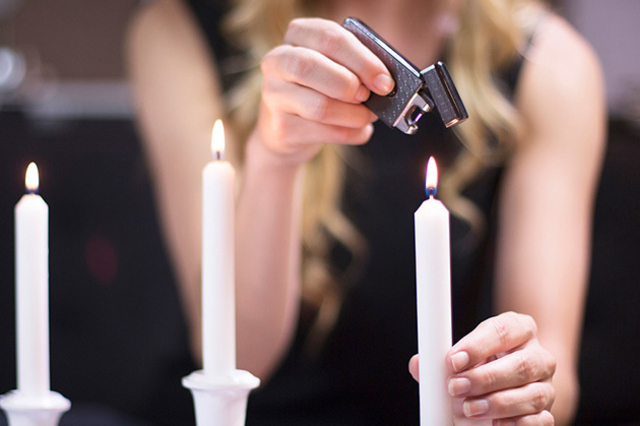 The futuristic Saberlight Rechargeable Plasma Lighter ignites your candles or cigarettes using an electricity-generated plasma beam that's way hotter and less toxic than standard butane flame lighters. It's completely wind- and splash-proofed, too, meaning Mother Nature won't be able to (literally) rain on your parade. Sale price: $15.95, 84% off the original price of $99.99. Buy it here. Your mid-shampoo interpretation of "Crazy in Love" is probably driving your roommates a little, well, crazy. 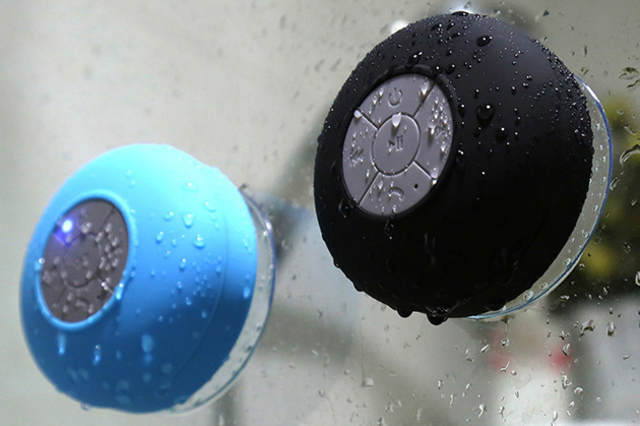 Let Beyoncé and all your other favorite artists handle the shower-time tunes via the water-resistant Bluetooth Shower Speaker, which features built-in controls so you can skip around your playlists without having to dry off. Sale price: $9.99, 80% off the original price of $49.99. Buy it here. Clock? Check. Light? Check. Fan? Check. 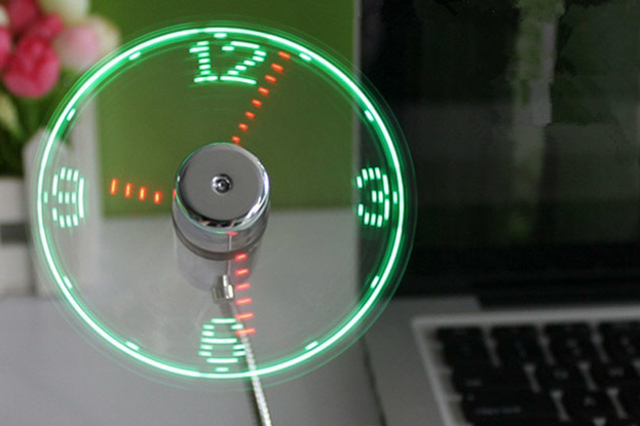 By bundling these three must-have desk accessories into one nifty device, the USB LED Clock Fan keeps your workspace neat and clutter-free. Its colorful, eye-catching design is just an added bonus. Sale price: $10.99, 45% off the original price of $19.99. Buy it here. Whether you've got a penchant for midnight hikes through the woods, a car that likes surprising you with random breakdowns, or just a lingering childhood fear of the dark, you're going to want to stock up on the UltraBright 500-Lumen Tactical Military Flashlight. 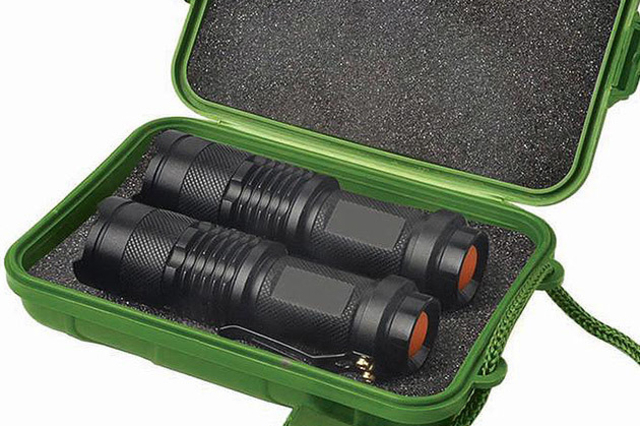 With an adjustable zoom that provides up to a mile of range, these lightweight military-grade flashlights are essential additions to your glove compartment or survival kit. Sale price: $17.99, 82% off the original price of $100. Buy it here. There are few things worse than snagging a beer, then realizing there's no bottle opener in sight. (The HORROR.) 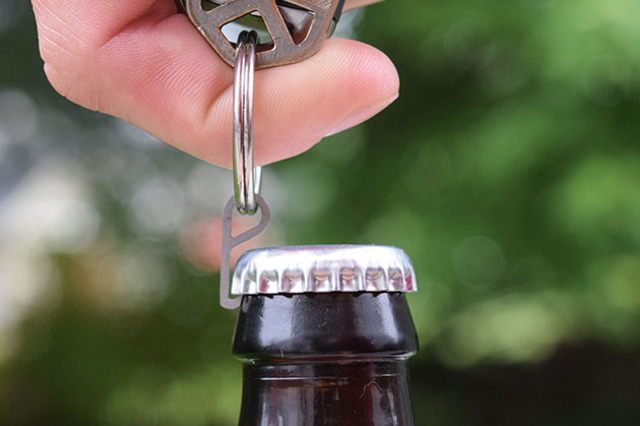 Thankfully, you'll never find yourself in such circumstances if you've got the Pry.Me Bottle Opener, a titanium, penny-sized bottle opener for your keychain that can hold up to 164,000 times its own weight. Price: $10.99. Buy it here.